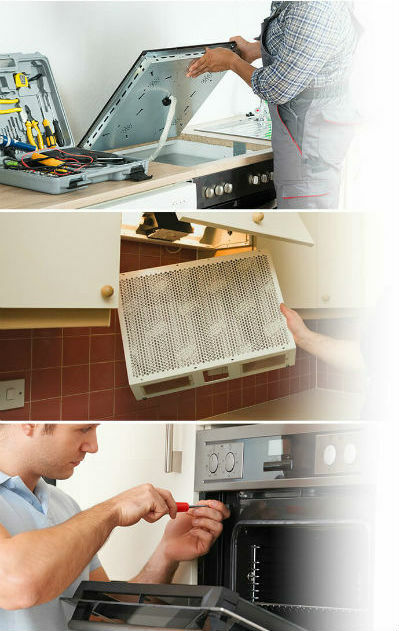 Schedule and book your oven, cooker hood, hob, or cooker repair service online. The oven repairman will use suitable tools to accurately diagnose your appliance. He will remove the faulty part and replace it with an original part for your model. The expert will perform a free check-up to see if everything is back to normal. Why should you entrust your cooking appliance to the local technician? The provider behind this cooker repairs service nearby puts quality and customer satisfaction on the forefront of their business. The one year guarantee for all repairs and installed parts ensures that your appliance will be working flawlessly even if things don’t always go as planned. Each of the cooker and oven repairs specialists is responsible, owns a City & Guilds certification, and has been working in the appliance fixing business for years on end. Their experience allows them to fix virtually any model by any brand, including outdated appliances. Your technician can respond quickly by arriving on the next day after your electric cooker repair booking. You can also make an appointment for a later period of time – the expert is available Mondays through Fridays at an hour that is convenient for you. Today’s kitchen appliances are more powerful and efficient than ever, but they are also more vulnerable to damage or wear due to the delicate components inside. Our trusty provider can share useful household appliance maintenance secrets to help you keep these in top condition. - If you need gas cooker or hob fitting and repair service don't hesitate to book your service with us! My appliance is old, can I still benefit from an oven repair service? 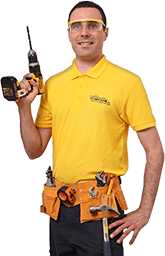 The experts are skilled in repairing a wide range of models by all brands, so they will always find the right part or method to get your appliance working again, provided that the repairs are cost-effective. The company works alongside manufacturers to source original components. When is the earliest time the technician can arrive? The specialist can arrive for next-day bookings for your convenience. He will also send you a text message 30 minutes before he arrives at your location. What if you can’t fix my appliance in one visit? Usually, this will not be the case since most oven, cooker, cooker hood, or hob repairs will take about 1 to 2 hours to complete. However, if the expert has to order extra spare parts to finish the repairs, he will have to schedule a second visit in order to install them. How long do I have to wait for the ordered parts? Typically 3 to 5 business days after you have approved your order. If you are short on time, you can also opt for an express delivery for £15, in which case they will arrive within 2 days. What areas in London do you currently cover? You can request oven repairs or any other service you need within most London’s M25 areas. I have a gas appliance, should I still contact you? Yes, sure we can help you! If you are looking for someone to fix your gas cooker and hob, gas boiler or powerflush your cental heating, don't hesitate to book your service with us.